We had a registered dietitian explain if the drink really delivers all those supposed health benefits. The appeal of coconut water is that it provides hydration, vitamins, minerals, electrolytes, and a low amount of natural carbohydrates, all packed into one product. This has made it very marketable, and while these traits are all positive, when relying on information from friends and pop-culture magazine articles, consumers are often missing important pieces of the puzzle and end up misinformed. Although the sugar in unflavored coconut water is in its natural state, those sugar calories will add up, just like every other calorie. Naturally-occurring sugar may not be as inflammatory as refined sugar, but it is still a calorie source without much value. One cup of coconut water provides roughly 50 calories, so if someone traded their plain water for two cups of coconut water per day, they are now consuming an extra 100 calories they may not realize. In addition to the naturally occurring sugar, most of the coconut water available on the market is flavored and includes additional sugar, sometimes from other fruits but often times from processed sugar. Is there a time coconut water isn’t so bad to drink? 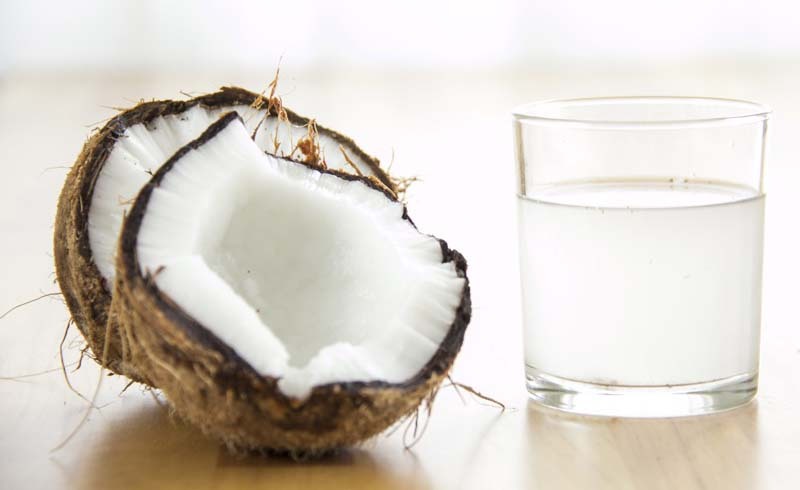 For an active person who engages in high heart rate activity daily, coconut water can be a great way to replace fluid and electrolytes lost through sweat and carbohydrates that were burned as an energy source. 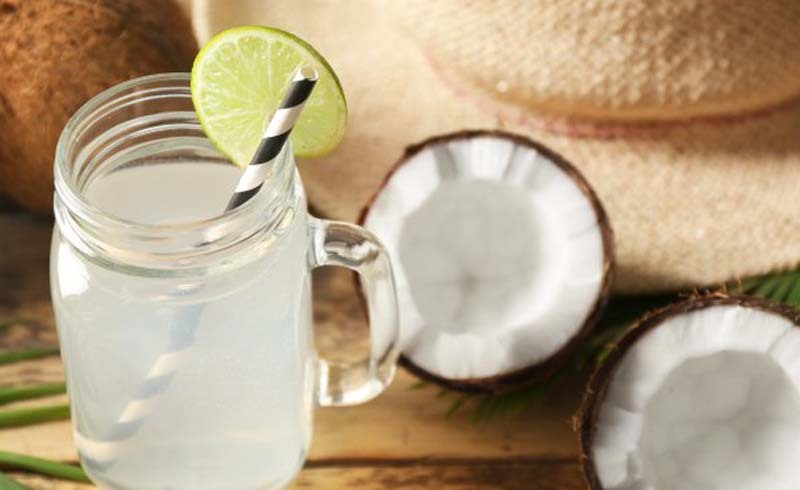 When compared to a traditional sports drink, coconut water is made with far fewer processed ingredients while providing much of the same benefit, which is a plus. However, any calorie-containing electrolyte drink—natural or not—is most beneficial during and after exercise and should not be a main fluid source elsewhere throughout the day. If someone enjoys the flavor of coconut water and drinking it helps them consume more fluid throughout the day, it is reasonable to include coconut water in a well-balanced diet in moderation. What should I look for when shopping for coconut water? Consumers should look for options with fewer than 12 grams of sugar and pay attention to ingredient labels. You’ll want to avoid coconut water with ingredients like sugar, fruit juice, or even pureed fruit that can add simple sugar. Additionally, you can choose organic and non-GMO varieties that pack a nutrient punch without any added synthetic ingredients or pesticide reduction that may be found in conventional coconut products. U.S. Daily News: Is Coconut Water as Healthy as You Think?